Play lies at the heart of both our Adult Accompanied Programmes and Independent Programmes. From nurturing an infant’s sense of attachment and security, fostering a toddler’s growing sense of self and autonomy, to understanding a young child’s increasing desire for independent exploration, our range of Early Learning Programmes takes your child through their developmental milestones within the most positive, caring, secure and enjoyable environment. In our Adult Accompanied Programmes, we provide a safe and secure environment for learning and invite young children (aged 6 months to 4 years) and their parents to play! As we play, laugh, and talk, we learn about getting along with one another. We learn about doing things for ourselves and for others. And we learn about joining in and following the leader (the teacher). We encourage this playful approach to life and learning not only in our children, but also in us as parents and the first teachers of our children’s lives. Every child in Adult Accompanied programmes requires an accompaniment by an adult. And through our playful approach in our Independent Programme, fostering a toddler’s growing sense of self and autonomy, and understanding a young child’s increasing desire for independent exploration ensures an exceptional start for every child. This single year in a child’s life contains the most profound leaps in learning and development. There is no other time in our lives when growth is so rapid, so visible, from day-to-day, moment-to-moment. Introducing PlayNest – for children aged between 6 to 18 months – this is where we introduce the importance of family support at the start of a child’s journey of learning and discovery in a safe, clean environment. A sense of security is primary to a child’s enjoyment of discovery and learning: that is why PlayNest is created as a programme both for the adult as well as the child. 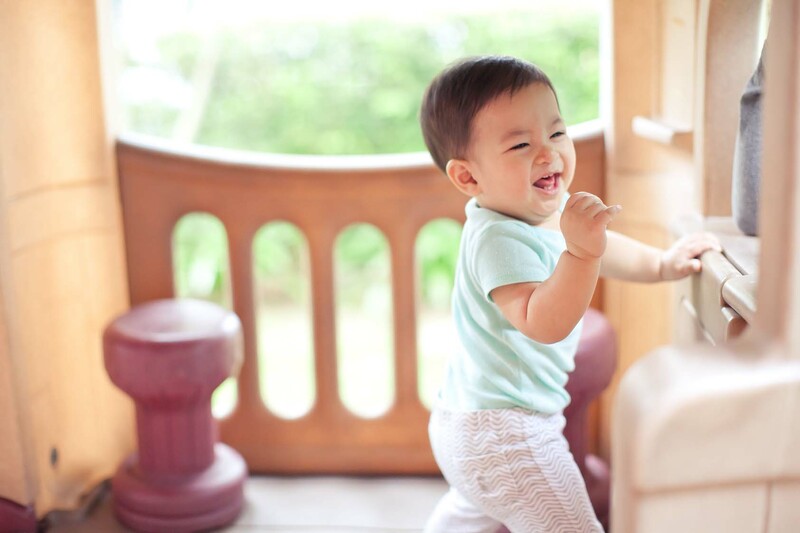 By the time your child is two years and five months old, your child’s growing independence will require a larger playing field enriched with thoughtful activities to enhance learning. Welcome to the joys of learning through PlayClub – one of Julia Gabriel’s most sought-after programmes by parents and children alike! PlayClub is a bridge between home and school, offering a stimulating and highly enjoyable programme that offers good language models. Our theme-based curriculum is structured around child-centred themes through activities such as indoor and outdoor play, music, art and craft, hands-on pre-science activities, stories, speech, drama and snacks, and letters of the alphabet, numbers, shapes and colours. ▪ Express themselves naturally in the form of music, movement and dance. Many studies support the learning of two languages (or more) to improve the overall functionality of our brains to become better thinkers, while boosting our ability to negotiate meaning, think critically, and problem-solve. Welcome to Bilingual PlayClub – designed for our amazing children who have the capacity, facility and interest to learn more than one language at a go! 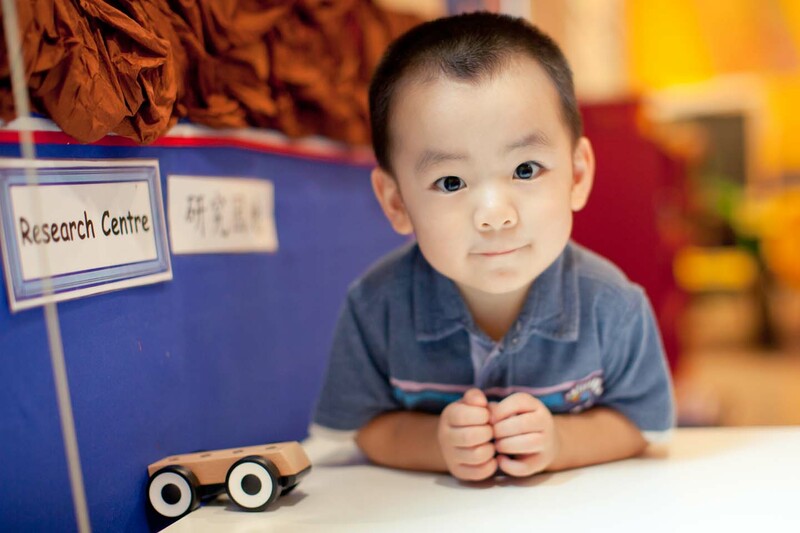 Using the same elements and learning focuses as PlayClub, Bilingual PlayClub is a unique early language programme where activities flow naturally between two language media, enabling children to enjoy both codes through exciting, interactive and original activities conducted by a team of experienced English and Mandarin educators. By the time your child turns 3, your child is moving out of babyhood and into childhood. Your child will become more curious about new experiences and new environments, and will want to explore them on their own. Introducing… Stepping Stones! 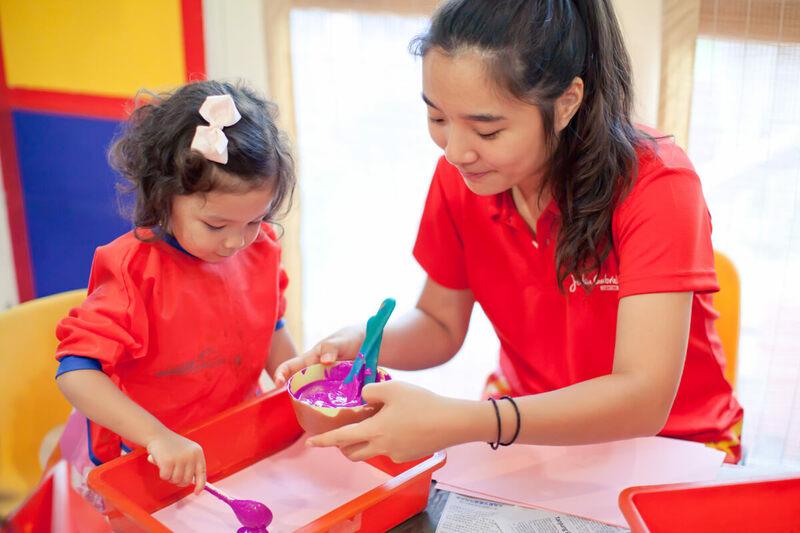 Stepping Stones is a Nursery 1 adult-accompanied programme that creates a warm, supportive environment for our children to make the transition to independence. Focusing on developing the “whole” child through instilling independence and social/life skills, academic skills, creativity and motivation for lifelong learning, children in our Stepping Stones programme learn through drama, music, movement and speech work. Derived from PlayClub, this independent version features a thrice-a-week routine, offering a stimulating and highly enjoyable programme that nurtures a strong foundation for language skills through meaningful interaction, focused play, and enjoyment of sounds and rhythm. Perfectly bridging the gap between an adult accompanied programme and formal preschool, this programme provides time and opportunities for self-sufficient toddlers to develop greater autonomy before entering Nursery One. This programme is currently unavailable in our Malaysia centres.